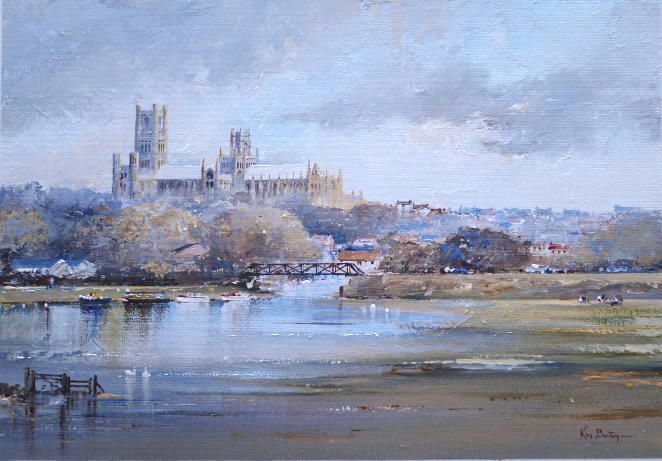 Ely Cathedral-Artist Ken Burton, Paintings of Norfolk, Paintings of Yorkshire and cityscapes etc. Original Acrylic on canvas board, image size 13" x 9", triple mounted to size 20" x 16". Gicleé print from original acrylic, mounted to size 18" x 14" ready for framing.